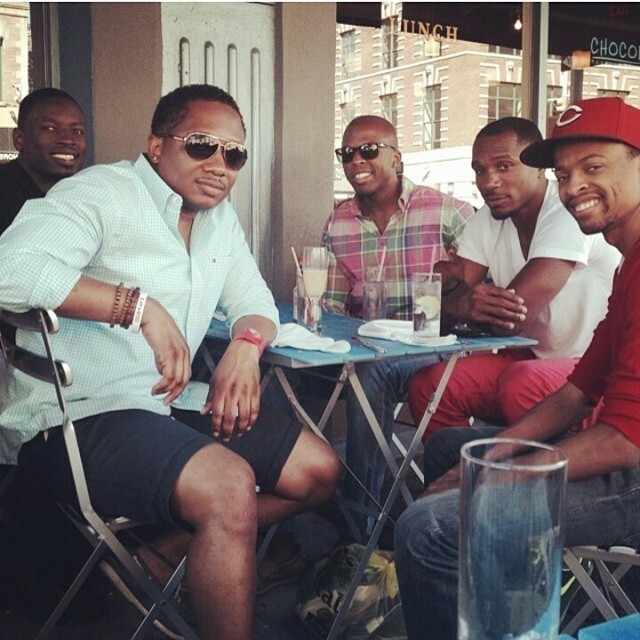 The New York Alumni Chapter has been extremely productive in the area of marketing our brand and creating an atmosphere in regards to our chapter that has consistently brought us interested individuals that eventually move forward to become productive members of our chapter as soon as they become members. In light of the recent Moratorium that halted our scheduled Spring Intake intentions, upon lifting the Moratorium, the collective membership of New York Alumni though it would be best to postpone our intake process until the fall. Though, one of the main ways to grow our ranks is through Intake, we are interested in attracting QUALITY members into our fold as opposed to Quantity. In the meantime, we are still well on track to continue to show the growing community of individuals that are interested in membership, why we affectionately say… “NYA is the Only Way”. During the moratorium, they still sent us their letters and emails of interest via our website’s membership section. Our Polemarch, always staying in compliance with IHQ’s Code of Ethics, responded honestly and sincerely with all interested parties to inform them that their request was received and that we would reach out to them in the near future when the moratorium was lifted. With the moratorium now lifted, we have reached out to those interested men and as a chapter we are gearing up for the fall so that we can provide them with an opportunity to partake in the Bond that we as Kappa Men enjoy!!! After the moratorium was announced, the chapter decided to embark upon the new endeavor of better educating our newer initiates in the policies and procedures of the chapter. Since we didn’t have to worry about all the paperwork, deadlines and conference calls involved with intake, we were able to focus inward, to offer our newest initiates the opportunity to grow in NYA, with NYA’s leadership team assisting them in any way possible. We are pleased to say that the dividends paid off quite well. At this present time, we have some of the youngest officers that the chapter has had in quite a while. The level of involvement and participation of our newer members has been at a very high quality as well. With the chapter empowering them to work, they are more enthusiastic about the “Business Side Of Kappa”. Attendance is up at chapter meetings, at NEP functions and several of them are also preparing to move towards seeking higher office in the chapter as well. Recruitment, Reclamation and also Retention of our existing membership are what helps us to put name after name upon our chapter’s membership scroll. Our very diverse yearly calendar of events is innovative enough to attract younger new membership, yet boasts such regal and elegant affairs as well. The blending of such high energy events like the NYA Kappa Luau, with the sophistication and suaveness of our Annual Black and White Ball, for those that desire a more formal affair to attend. Chapter Fellowship Nights are ideal to spark the flame that will eventually put the “FIRE” back into inactive members and bring them back to Kappa. It is our multi-generational structured programming that keeps us firmly connected to every prospective member and every generation of Kappa Man that wants to be reclaimed. NYA truly is Kappa At Every Generation!!! 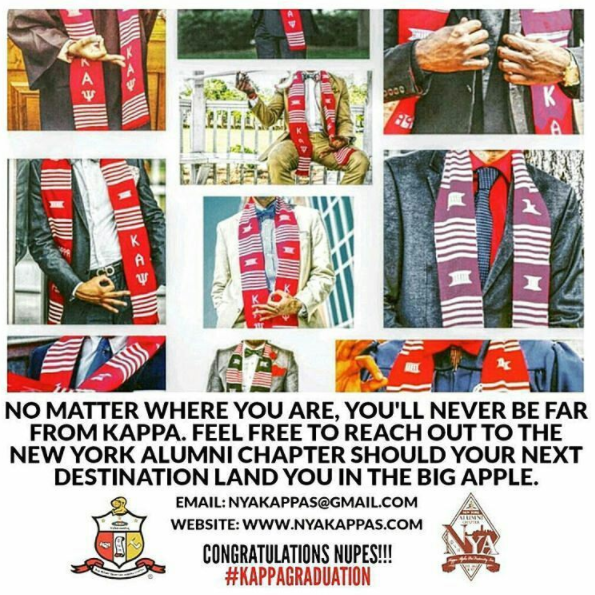 VIRTUAL RECLAMATION: In the New York Alumni Chapter, as well as other alumni chapters throughout Kappa, reclamation is a huge portion of the alumni experience. Through the hard work of our technology and social media committees, brothers are made aware of all the good things that the chapter is involved in with the click of a button. As technologies change the landscape of how people communicate, our technology committee keeps us in steady pace with the real world – in real time. It creates a buzz amongst our younger followers and helps to “bridge the communication gap” by assuring the younger initiate that they would be considered viable members of this long standing chapter and can contribute their skills and talents as well for the forward movement of the chapter.